Dubai: The majority of people currently working in the UAE are expected to retire and head back to their home country in several years, and all they will get from their employer is a relatively small amount of gratuity payment. In a survey among workers in the United Arab Emirates, nearly nine out of ten (84 per cent) said they will receive an end-of-service compensation when leaving their company. Many of them (62 per cent) are expecting to take home more than Dh20,000, while about a quarter are looking to pocket only between Dh5,000 and Dh20,000. 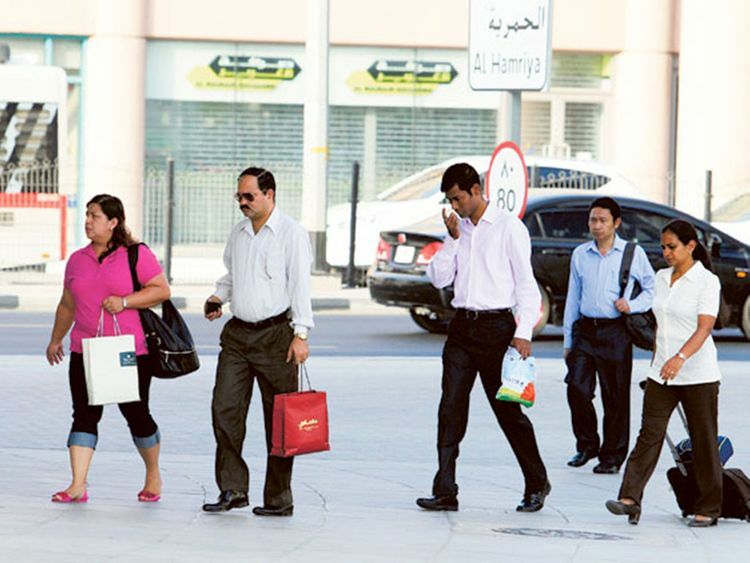 About one per cent expect to receive just less than Dh5,000, while 3.7 per cent are looking to get between Dh5,001 and Dh7,500 and a further 2.8 per cent are eyeing a Dh7,501 to Dh10,000 end-of-service pay. According to wealth and investment management firms Old Mutual International and Quilter Cheviot, which conducted the study, the value of compensation benefits are relatively small and a cause for concern. Gratuity serves as a separation pay for employees at the end of their work contract. The amount received depends on the staff’s last basic salary and the length of service. Allowances and other compensation outside the basic salary are usually not included in the gratuity calculation. However, there are some instances when the gratuity could be withheld, with the most common reason being some form of breach of contract, according to Old Mutual. The study found that most people working in the country don’t have any other source of funds to dip into when they retire -- no pension or retirement investment scheme to speak of -- with 59 per cent of those polled admitting that they are “fully or partly” relying on their gratuity for retirement. “The fact that [most of the] respondents are either fully or partly relying on their end-of-service gratuity for retirement could be a cause for concern, as the research shows that on average, they are relatively small payments,” said Paul Evans, head of region, Middle East and Africa, Old Mutual International. When asked where they want to retire, about six in ten (62 per cent) said they prefer to live in their home country. However, the number is expected to increase, given that the UAE has recently introduced a five-year visa for expat retirees older than 55. Responses gathered by Old Mutual also showed that the UAE is increasingly being viewed as a preferred retirement destination for expats, with the number of people saying they would retire in the UAE increasing from 15 per cent in 2017 to 18 per cent in the latest study. However, a staggering eight out of ten people intend to continue working in retirement, either for social (45 per cent) or financial (35 per cent) reasons. About 81 per cent said they expect to be self-employed. “It’s fascinating that 81 per cent of people living in the UAE plan to be self-employed in retirement. Working in retirement, particularly on a self-employed basis, can be a positive experience, as it keeps people social and active,” noted mark Leale, head of Quilter Cheviot in Dubai.